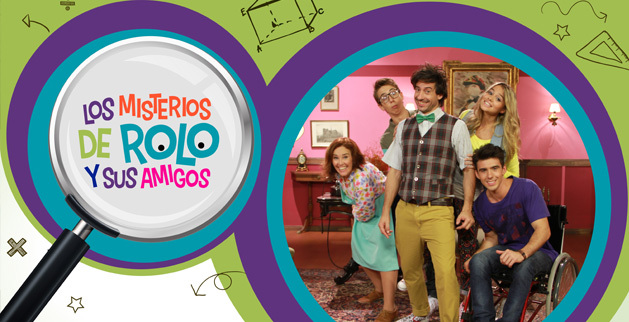 "Los misterios de Rolo y sus amigos” is a co-production between OZ Media from Uruguay and El Oso Producciones from Argentina. The main character, Rolo, first appeared successfully in the show “Laboratorio en Casa” - in one episode of the first season and in three episodes in the second season. That's when the idea for a spin-off emerged. "Los misterios de Rolo y sus amigos” is a story full of math, mystery and humor. An eccentric private detective, Rolo leads an investigation team composed of: Sofí (his fifteen-year-old daughter), Alex and Felipe (Sofí's class mates), and Renata (the maid). In every episode, special guests bring along their problems in the hope that Rolo and his friends might solve them by applying mathematical skills and lateral thinking.